In 1859, Urbain Leverrier told the world that he had discovered a new planet, very close to the sun, which he called Vulcan. He’d found that Mercury was not orbiting the sun the way Newton’s law of gravitation said it should: its perihelion advanced by about 0.01 degrees more than it ought to every hundred years. That might not seem a lot, but Leverrier reasoned that a planet close to the sun was disturbing Mercury’s orbit. Could it be Vulcan orbiting the sun? He was taken seriously. After all, in 1845 he had used mathematics to analyze Uranus’s orbit and found that, like Mercury’s orbit, it was behaving slightly oddly. From this, Leverrier predicted the existence and position of a new planet. When astronomers looked to where he had directed them, they discovered… Neptune. Funnily enough, after Leverrier published his incorrect Vulcan hypothesis, some astronomers, including Edmond Lescarbault, claimed to have seen it! In the end, Vulcan was a mirage. The explanation for Mercury’s strange orbit came when Albert Einstein published his general theory of relativity. Einstein showed that Newton’s law of gravitation is not quite right: the higher the gravity, the less accurate Newton’s law becomes. And Mercury feels the sun’s gravity strongest, because it’s the closest planet to the sun. After Einstein published his relativity work, there was no need for Vulcan, which is a pity. A new planet is always exciting. And hey, if Leverrier had been right, Mr. Spock’s home planet would have been quite close to Earth, if a little on the hot side! In 1962, a new form of water was announced by the Russian physicist Nikolai Fedyakin. Polywater was denser, and more viscous than normal H2O; it froze at -40 °C and boiled at 150 °C. 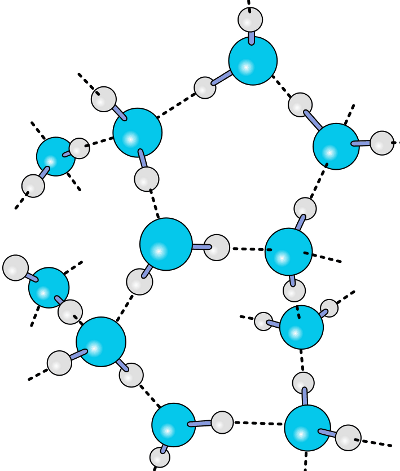 Perhaps this material consisted of water molecules bonded together into chains – a strange polymer of water. There was a lot of excitement in the scientific community at the time. American scientist Dennis Rousseau found his own sweat had similar properties to polywater. By 1973 it was fully accepted that the water used in Fedyakin’s experiments had taken up impurities from laboratory equipment. As far as we know, there is still only one form of water. N-rays were discovered in 1903 by Prosper Blondlot, a distinguished French physicist. He found that many metals were natural emitters of these rays. His findings were confirmed in some other French laboratories, although physicists in other countries – including Lord Kelvin – were unable to observe N-rays. American physicist Robert Wood was puzzled by these new, strangely elusive rays, and Blondlot agreed to give him a demonstration. In a darkened room, Blondlot produced an ‘N-ray spectrum,’ which he discussed with Wood and other people who were present, showing them the spectrum’s interesting features. While Blondlot was doing this, Wood secretly removed the spectroscope’s prism. This was like removing a prism being used to split sunlight into the colors of the rainbow. If you remove the prism, the colors disappear. With the prism removed, Blondlot continued describing the N-ray spectrum as if nothing had happened! Wood’s removal of the prism sent N-rays hurtling into science’s trashcan and sent Blondlot to the attentions of the medical profession. No kidding! Darwin’s theory wasn’t attacked by cranks, but by two hard-headed physicists in Scotland. Lord Kelvin (a brilliant physicist, whose name is remembered in the absolute temperature scale) and Fleming Jenkin thought they had proved Darwin wrong. Kelvin looked at the cooling rate of our planet Earth. Using the best physics of the 1860s he estimated that Earth was somewhere between 20 and 400 million years old. For much of that time, he said, it would have been too hot for life. His calculations also showed it was ‘most probable’ that the Sun was less than 100 million years old. Of course, Kelvin and Jenkin were wrong! They didn’t know about nuclear fission which, after billions of years, still keeps Earth’s interior hot. They were also unaware of the nuclear fusion that has powered the Sun for billions of years. Nuclear energy had not been discovered in the 1860s. If Kelvin and Jenkin had paid more attention to the evidence from geology and biology, they might have been in a position to propose radical new physical theories. Why do things heat up? Until the end of the 18th century, scientists thought that ‘caloric’ needed to be released. There was caloric in everything. Flames would liberate the caloric from substances, causing a rise in temperature. Rubbing your hands rubbed tiny particles off your hands, releasing caloric. Anything which allowed a substance to release caloric – such as friction – caused the temperature to rise. Seems sort of logical? Yes? Well… yes, until you think about it a bit harder. Benjamin Thompson, also known as Count Rumford, realized that caloric was absurd. This happened when he was supervising a new cannon’s drilling-out in a workshop in Bavaria in 1798. During the drilling, the cannon got very hot. Superficially, this seemed to fit the caloric theory as shards of metal were removed from the cannon by the drill, releasing caloric. The trouble was, when the drill got blunt and removed less metal from the cannon, the temperature rose even more. BUT, according to the caloric theory, the cannon should have cooled, because less caloric was being released. Thompson found he could release heat from metal for a very long time (almost for ever) using a blunt drill. If this heat had come from caloric, then the metal must have contained so much caloric to begin with that it could never have cooled enough to become solid. Rumford collected metal removed from the cannon and measured its specific heat. He found it was identical to the specific heat of unbored metal. He reasoned that it was movement rather than caloric causing the temperature rise. Many scientists refused to abandon the idea of caloric. Despite the evidence against it, they clung to it like a comfort blanket. It was only in 1849, when James Joule demonstrated how mechanical energy could be converted to thermal energy, and in 1860, when James Clerk Maxwell published his kinetic theory, showing that it’s the speed of atoms and molecules that determines a substance’s temperature that caloric finally faded away. Edmond Lescarbault was made Chevalier of the Légion d’honneur for his ‘observation of Vulcan’. It’s a funny old world. Isn’t the graphic for polywater actually a graphic for hydrogen bonding? You’re absolutely right Jess, it is. We know that polywater doesn’t exist, but if it did exist, perhaps it might happen because of some sort of strengthening of the hydrogen bonding. That’s all the graphic is trying to show. Yes. This is true. Even some discoveries in physics are made by non physicists. I think physicists like to think of themselves as superior to other branches of science. Seems like it was the case even then. Interesting that rather than realizing geologists and biologists were pointing them towards new discoveries, physicists shut their ears. They thought their math beat careful observation and deductions and they were wrong. imho physicists are the most innovative scientists. But you’re right about them missing a trick in this example. Wonder what sort of a world it would be now if Kelvin or somebody else had listened up and discovered nuclear power in the 1860s?